In the Description field, provide an optional description for future reference. The default description contains information about the user who created the job, date and time when the job was created. In the Retention policy section, specify the number of restore points that you want to store in the backup repository. When this number is exceeded, the earliest restore point will be removed from the backup chain. Please consider that the number of restore points doesn’t correspond to the number of days to store restore points. 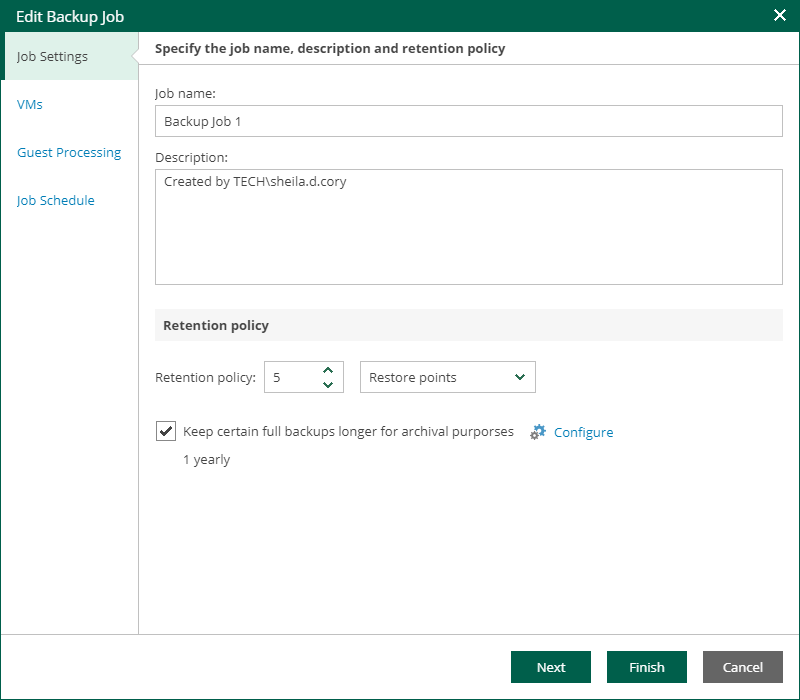 For more information on retention, see the Retention Policy section in the Veeam Backup & Replication User Guide. Also, see Veeam Knowledge Base article KB1799.